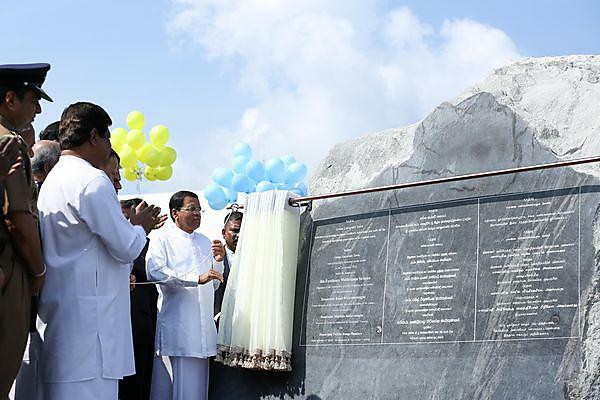 One of the University’s closest academic partners, the National School of Business Management (NSBM) in Sri Lanka, has opened a new ‘green university town’ that will accommodate hugely increased numbers of students – including those from Plymouth. The state-of-the-art development in Pitipana, Homagama, covers 26 acres, and will house 30,000 undergraduates across business, computing and engineering degrees – a near sixfold increase from current levels. Built to the highest levels of sustainability, the Rs 10.2 billion (approx. £56 million) town includes cutting edge academic facilities, one of the biggest libraries in the country, leisure and sporting centres and retail outlets. The University of Plymouth is one of the main academic partners for NSBM, and oversees the delivery of a number of degrees covering business, computing, finance, accounting, marketing, tourism and hospitality, shipping and business communications. It is a collaboration that involves a ‘flying faculty’ of academics travelling out to Asia to deliver teaching to the final year cohort, who make up a proportion of the 1,500 Plymouth students currently registered there. Students from Plymouth and Sri Lanka also take advantage of reciprocal international study opportunities at the respective institutions. Members of the University's leadership team, including Professor Simon Payne, Deputy Vice-Chancellor and Dean of Academic Partnerships, were invited to the launch alongside Sri Lankan President, His Excellency Maithripala Sirisena, and the country’s Prime Minister, Hon Ranil Wickramasinghe. Sri Lanka is becoming a vibrant, innovative leader in Asia for a knowledge-based economy, NSBM is working to help this ultimate ambition become reality.